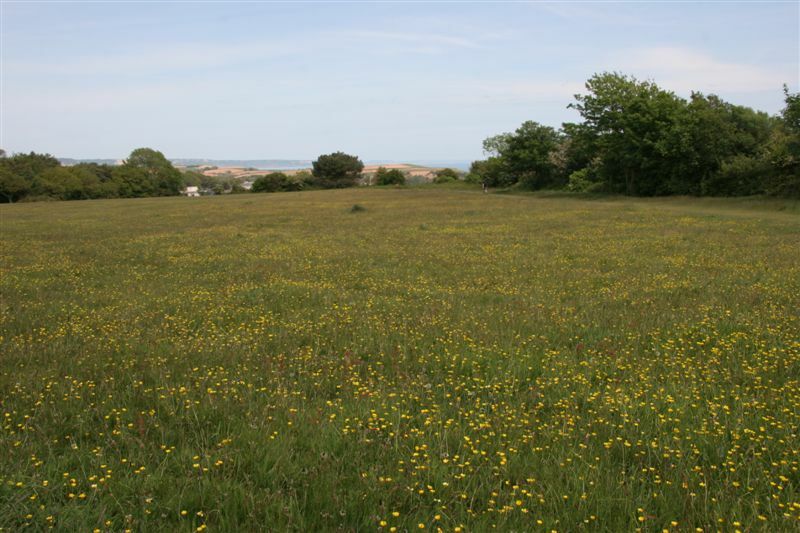 Jubilee Field is an attractive green-space close to Budleigh Salterton. Together with Bicton College we are working with the local authority to enhance this cliff-top setting for the benefit of wildlife. Coastal habitats have the potential to attract a wealth of wildlife if managed in a sensitive way, as well as adding a wonderful splash of colour in the summer months for all to enjoy. The soil here has escaped treatment with fertilisers and weedkillers, it is nutrient-poor and therefore suitable for the establishment of a variety of wildflowers. Since 2007 a 20m-wide strip, approx 200m long, has not been regularly mowed and OVA have been monitoring the establishment of wildflowers in that strip. We have been identifying and recording species of wildflowers throughout the year and also keeping a photographic record. Wildflowers we have identified include red campion, lesser celandine, speedwell, primroses and bird’s foot trefoil. With the help of EDDC, we are managing the area to increase its ecological value over the years. The 20-m strip will be mown only once each year, in the autumn, after plants have seeded. The cuttings will then be removed. This regime will help to maintain low fertility of the soil. Through managing the wildflower meadow, plant and animal species should increase in number and diversity. Already it is clear that bumble bees, a nationally declining species, are benefiting from the new source of nectar and pollen and we expect to see an increase in numbers of grasshoppers, butterflies and seed-eating birds.